My kids gave me an excellent vegan cook book for Mother’s Day and I have been looking forward to trying them out. It can be difficult to find low carb vegan or vegetarian foods as they are all high in carbs because most of the meat alternatives are beans and legumes. I went to work and made some alterations to make it a little more low carb friendly. I used Basmati rice cooked in vegetable stock for some flavour and added some nutritional yeast flakes to increase the protein. On the positive side of our little bean friends, there is a tonne on fibre so this brings the net carbs down to a reasonable number. I would not consider myself vegan or even a strict vegetarian as I do eat fish and dairy from time to time but I did want to keep this little number gluten-free, dairy free, soy free and sugar free. I tried the vegan cheese Daiya and I was quite impressed and will definitely use it again. If you prefer you could always use regular cheese if you are not concerned with consuming a dairy product. Preheat oven to 375 deg and spray a casserole dish with cooking spray. In a large frying pan heat the oil over medium heat. 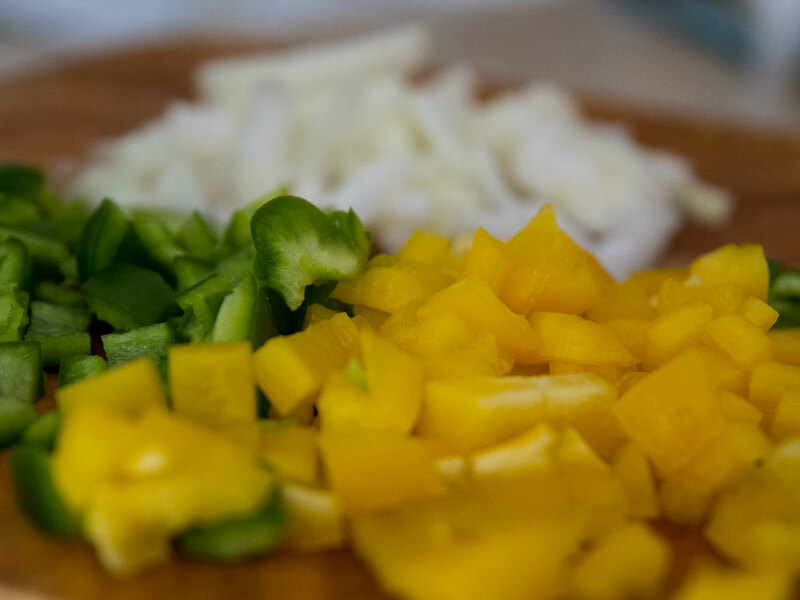 Add the onion, garlic, peppers, jalapoeno and saute until softened. Season with salt and pepper. 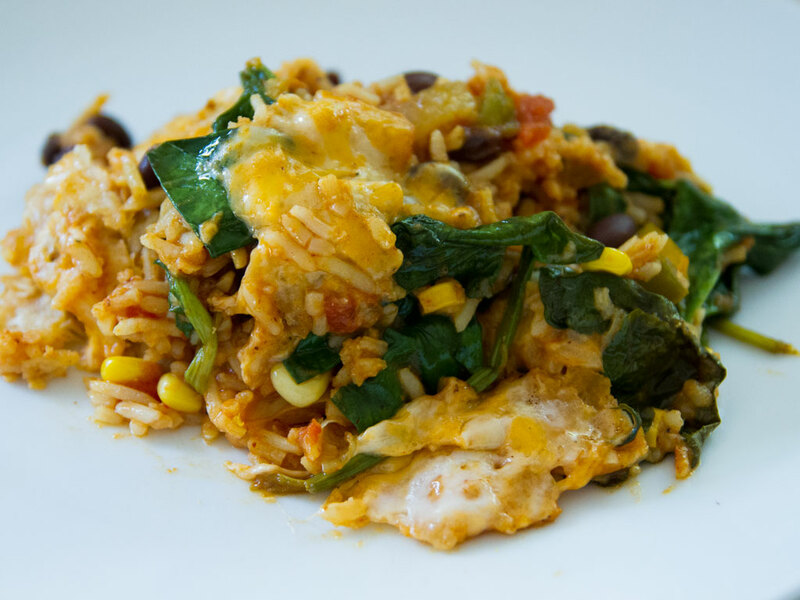 Stir in our Tex-Mex spice, corn, diced tomatoes, tomato sauce, spinach, rinsed beans rice, nutritional yeast flakes and 1/4 cup of the cheese. Heat mixture through and pour into prepared casserole dish. Sprinkle with crushed chips and the remaining cheese. Cover and bake for 15 minutes. Remove cover and cook for an additional 10 minutes or until bubbly and golden brown around the edges. Serve hot.